Your bed room, Haven of peace plunged into the rustle of the surrounding campaign decorated in the colors of Greece. It will give you the rest waited to find all your necessary energy the next day. Plate glass window giving access onto the garden with a view of the mount Pilat. Privative bathroom a big jet shower of 1m x 1m with double bowl. 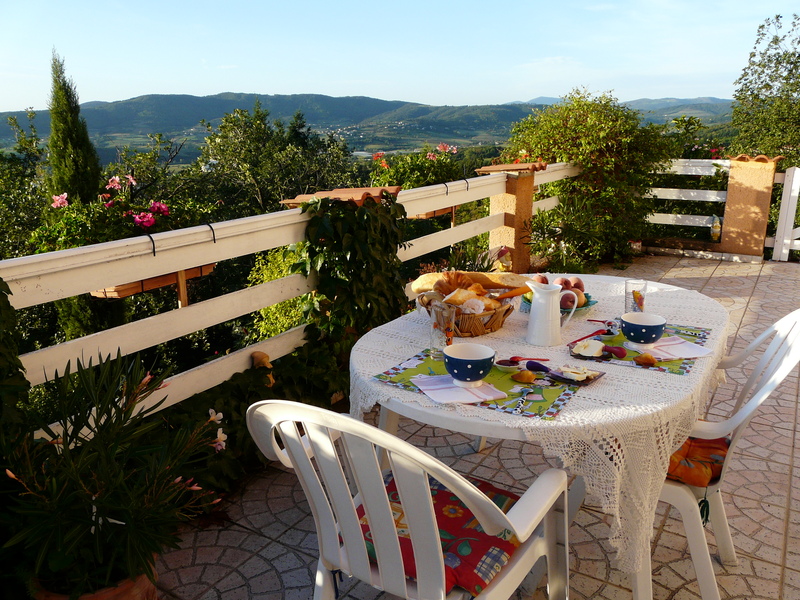 ** Of the terrace and the garden in Chirats during the warm summers. In the morning our copious and delicious lunched young will bring you all the necessary energy in your new day of walk or labour................! 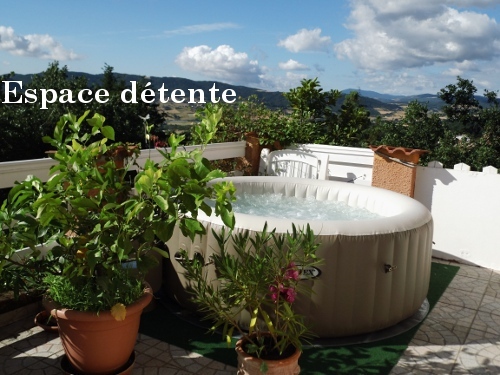 We propose you a space relaxation where you can benefit from benefactions of SPA of outside and to appreciate the peace, the songs of bird or the background music and the sight on the Alps from SPA or deckchair. Bath robes are supplied..